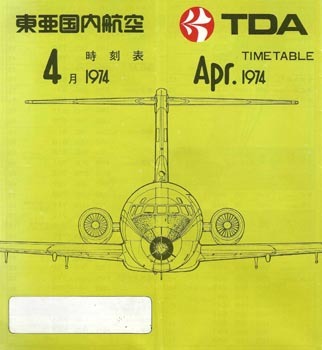 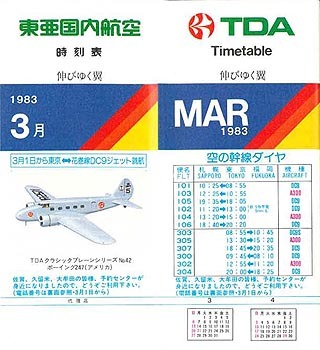 This airline was founded as Toa Domestic Airlines in May 1971 through the merger of the original Toa Airways of 1953 and Japan Domestic Airlines. 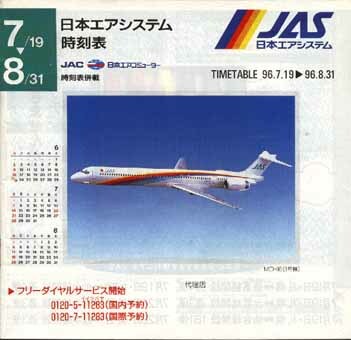 The latter was the result of a merger between three smaller airlines in 1964 - North Japan Airlines, Nitto Air Lines and Fuji Airlines. 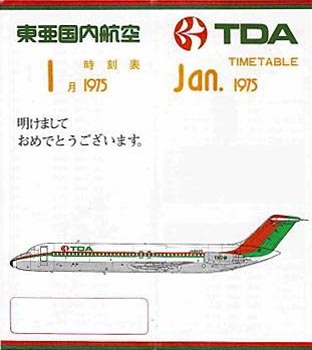 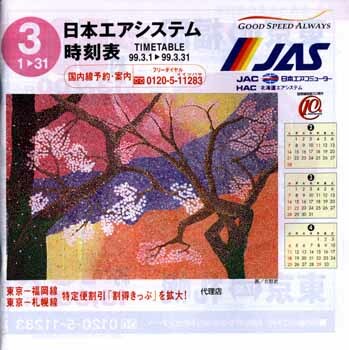 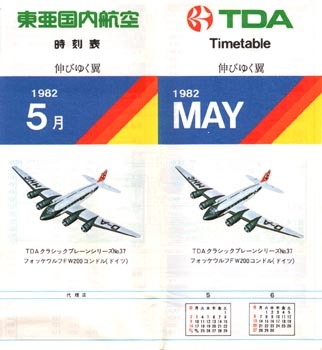 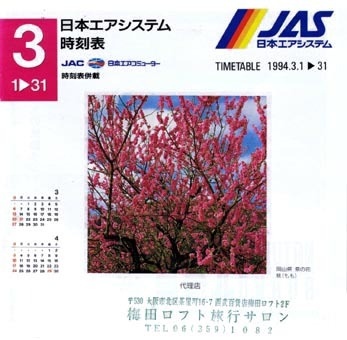 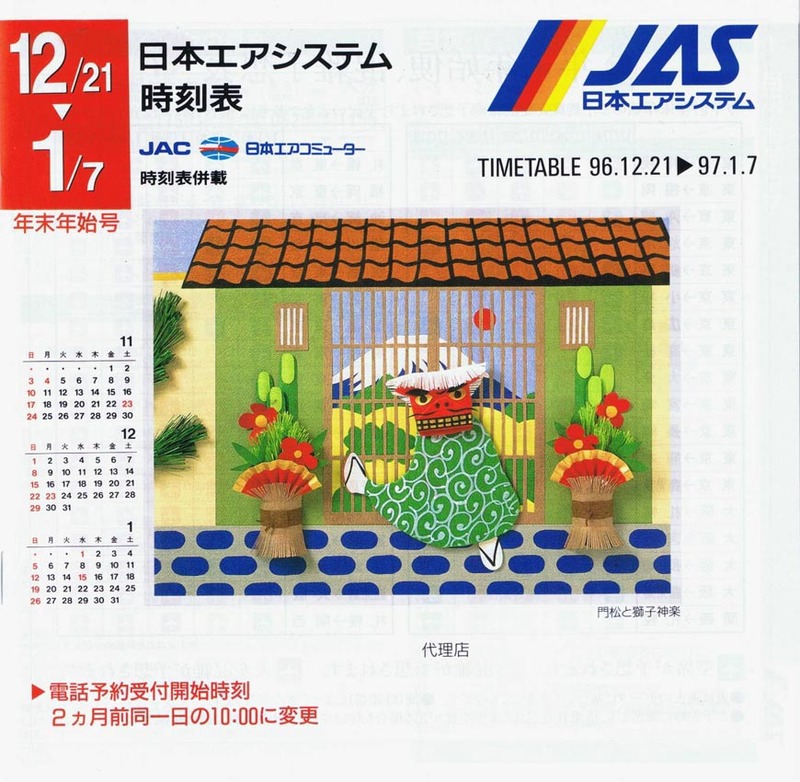 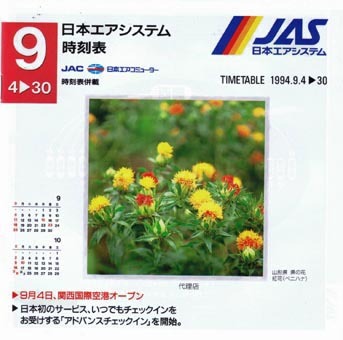 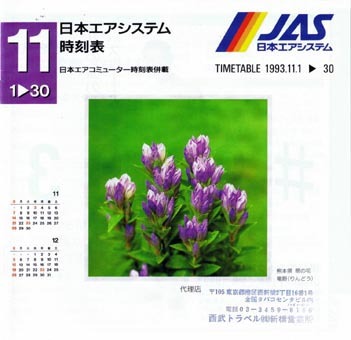 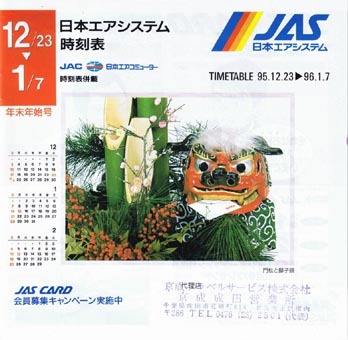 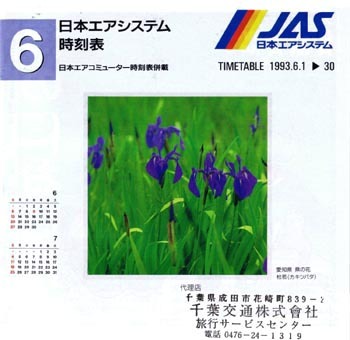 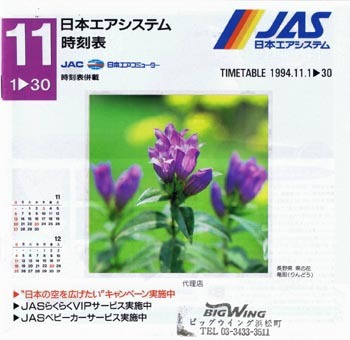 Toa Domestic changed its name to Japan Air System in April 1988. 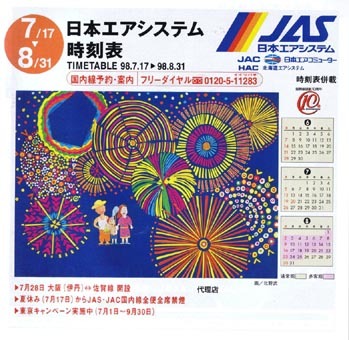 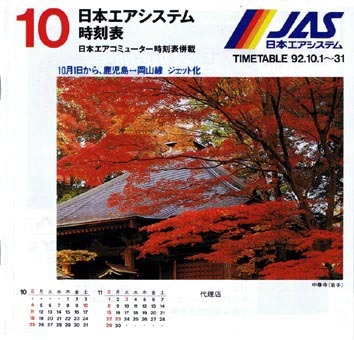 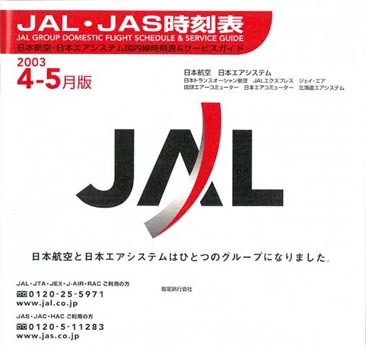 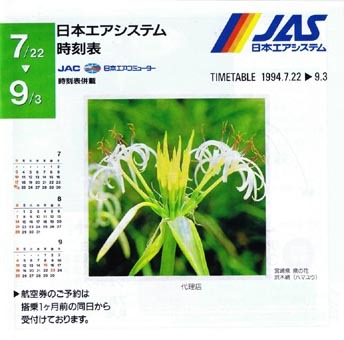 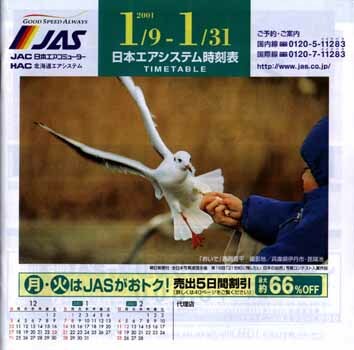 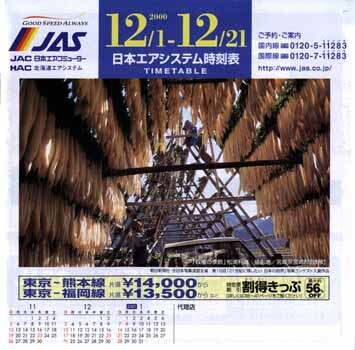 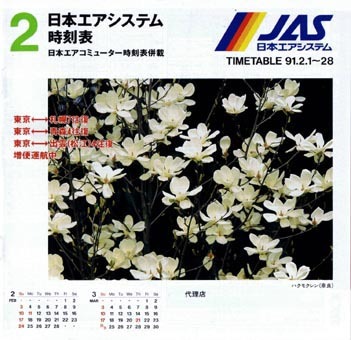 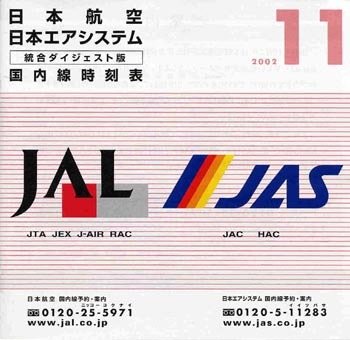 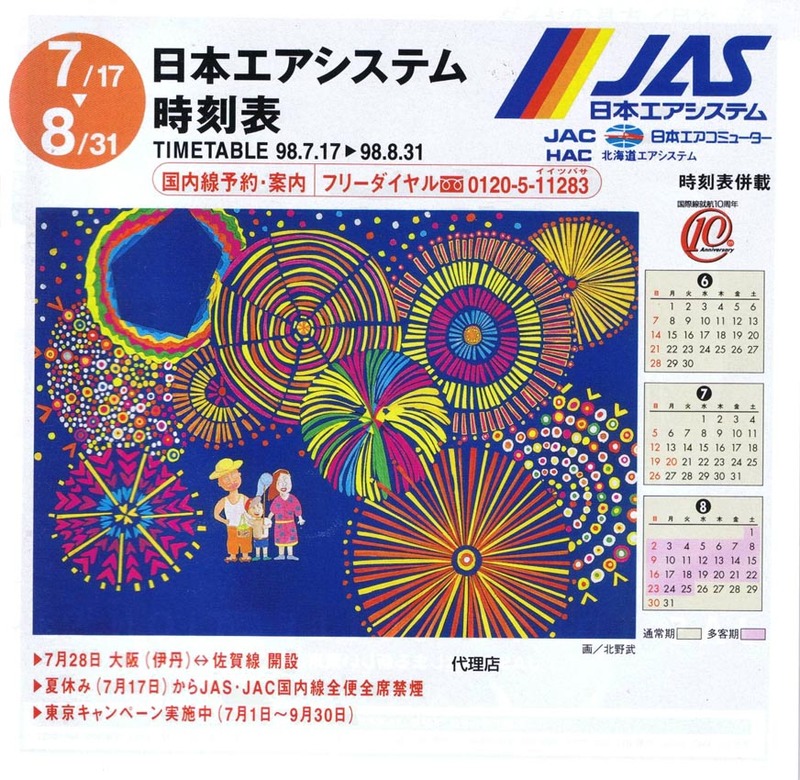 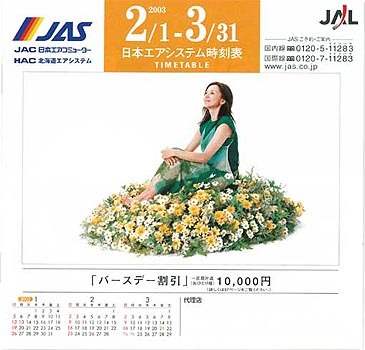 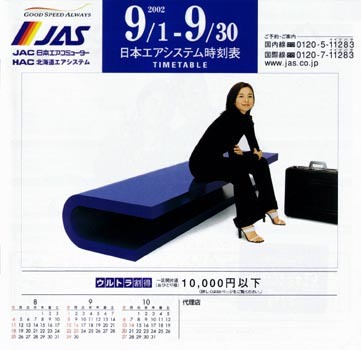 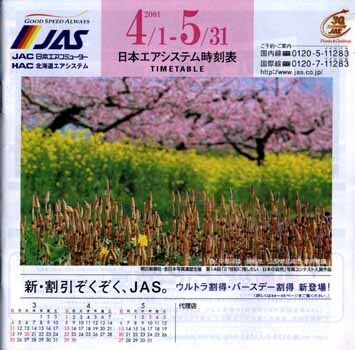 Japan Air System was merged into JAL - Japan Airlines in the early 2000s, using (initially as Japan Airlines Domestic) the JAL IATA code from 2004.
visit the JAS - Japan Air System page of Perry Sloan's "AirTimes" site. 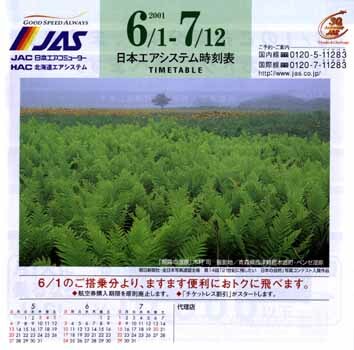 This page last updated June 11, 2016.